Home / Adventure / Automobiles / product or service reviews / Travel and Living / Tata Hexa Manual vs Automatic- Differences Explained! 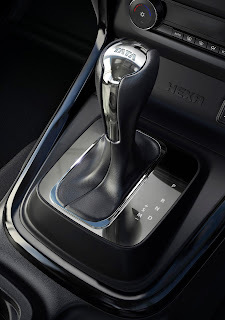 Tata Hexa Manual vs Automatic- Differences Explained! As you may be aware, I am just back from Hyderabad, where 60 bloggers chosen by Indiblogger got to attend the #HexaExperience by Tata Motors. We got to experience the brand new Hexa SUV from Tata Motors first hand before anyone else. While I have several posts planned on this event, one of the most frequently asked question on social media was if manual is better or automatic, or if Automatic is responsive enough etc. To clear this confusion, I am detailing in this post the key differences between Hexa’s Manual Transmission variant vs Automatic Transmission. These information are as observed and experienced during our media drive and information sourced from Tata Motor’s official websites/social media channels or press kit. We had a more than 170 km drive in the Hexa’s half in MT and half in AT, so that we could experience both in detail. 80 km+ one way is no short test drive and it is pretty good distance to experience a car. 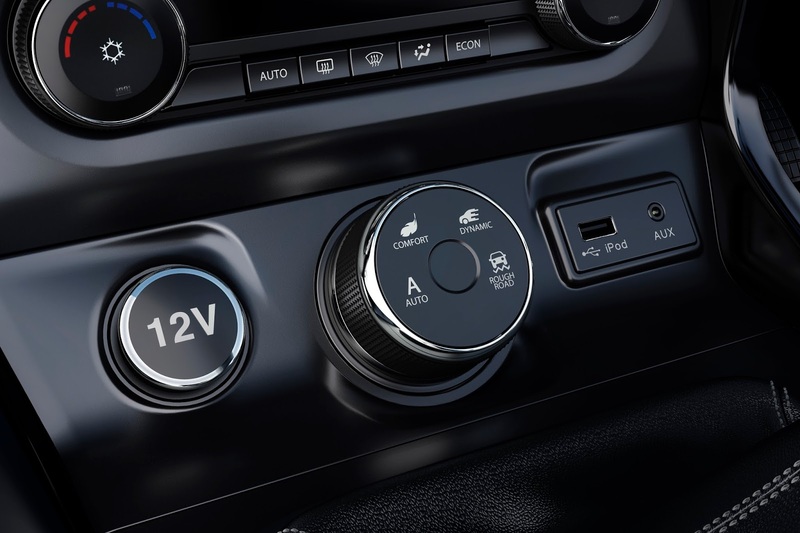 Automatic transmissions have evolved a lot in India. Decades ego they were prerogative of only super expensive cars. AT was common abroad but in India customers hesitated buying auto- mainly because fuel economy concerns and partly because most drivers were men, who were comfortable with MT and didn’t see value in AT. That perception is changing now. Hyundai was the first to introduce Santro Automatic long back. 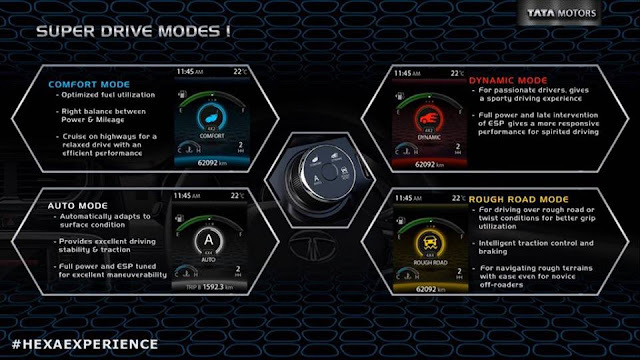 Now Automatic transmission is available in almost all new modes across price range, starting with Tata Nano. All manufacturers are making it a point to have at least one variant in AT, not to lose out on the customers who prefer automatic. Technology has improved over decades and now AT is almost as fuel efficient as manual, if not better. Price difference is also dropping significantly, because of larger acceptance and demand volume. Tata Motors obviously recognize this trend and demand for AT and Hexa does come with a feature loaded Automatic version. Most manufacturers pick a mid-variant to introduce AT, so that they can keep cost low (No ZDI or ZXI auto in Maruti’s stable). For Hexa, Tata Motors has gone one step ahead and kept the AT variant at par with manual on almost all counts. This post primarily focuses on the difference between Hexa AT and Hexa MT. Details on other Hexa features and performance is coming up in a separate post. Within same variant and specifications, AT will be a bit expensive than MT. Exact pricing will be known in Jan. Should be in the price range of 15-20 lakhs on road. The Hexa AT with Racing mode. 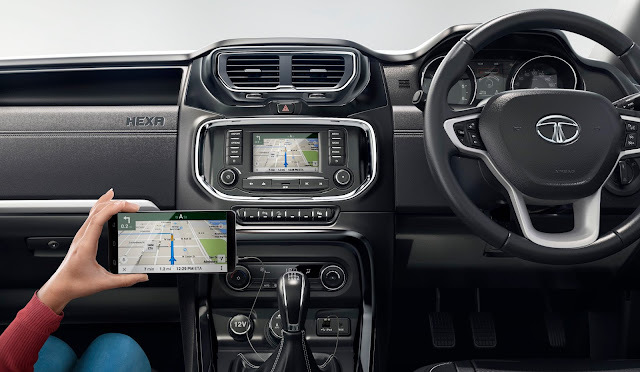 Driving enthusiasts often prefer MT because it is more responsive and fun to drive- but Hexa’s Auto variants get a Sports mode, which makes then extremely fun to drive. In this mode, which I experienced first hand, engine keeps the revs high in the range of 3000 rpm or more, even if you slow down or break. What this means is faster acceleration and more responsive engine when you are ready to hit the accelerator next. 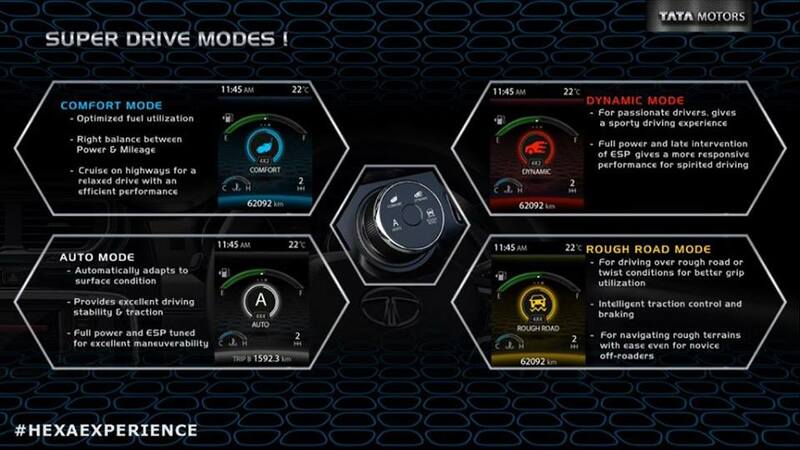 Race car mode gets activated if you floor the pedal consistently (for 3 seconds or more) and shift to S mode. Be advised that driving forever in this mode will further compromise fuel economy. I hope this answers most of your queries on AT vs MT and help you decide which one is better for you. Hi wanted to know how is the turning radius between the manual and auto? Also is the steering lighter in the auto? In which variant was the braking better? Sorry, unfortunately haven't checked on these parameters. 4x4 MT gets more technology than the 4x2 version, so guessing it should be marginally better at stopping.. Didn't experience any noticeable difference in terms of turning radius and steering. Glad it was useful. Enjoy your Hexa !